My guest today is the talented Caitlin Connolly. Caitlin is an amazing artist, and mom of twins! She shares with me today about her journey with infertility, IVF, having her twins, and pursuing her artistic passion. 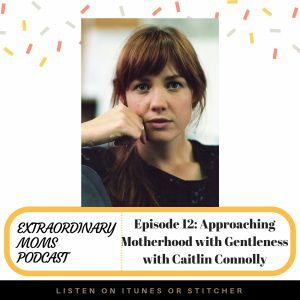 She shares a lot about approaching transitions with gentleness and it’s a message I for sure needed to hear. She’s amazing you’re going to love going deeper with Caitlin today! Care/Of is a vitamin and supplement subscription service that will make taking care of your nutrition just a little easier. And what I love is their simple online quiz to help identify areas of deficiency for you, and they give you customized daily packets with supplements to take. So amazing. To get 50% off your first month of vitamins go to: TakeCareOf.com and enter code EEP50.